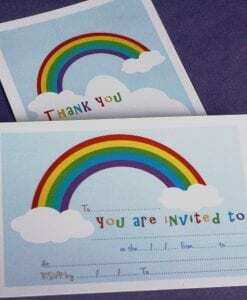 Rainbow invite & thankyou cards are ideal for a girls rainbow birthday party. 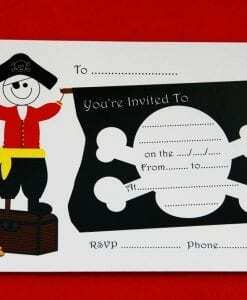 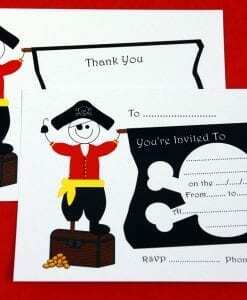 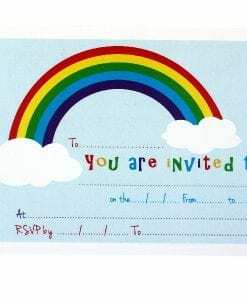 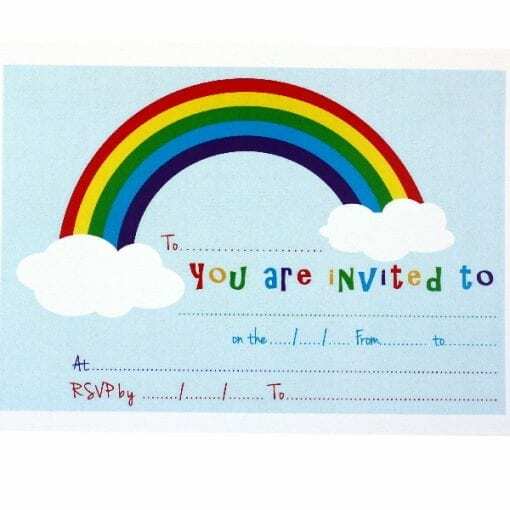 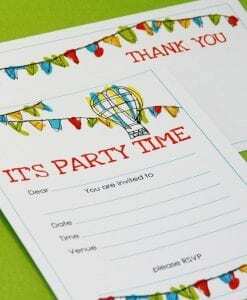 Fill-in postcard-sized Rainbow invite & thankyou cards are brightly coloured and printed on one side. 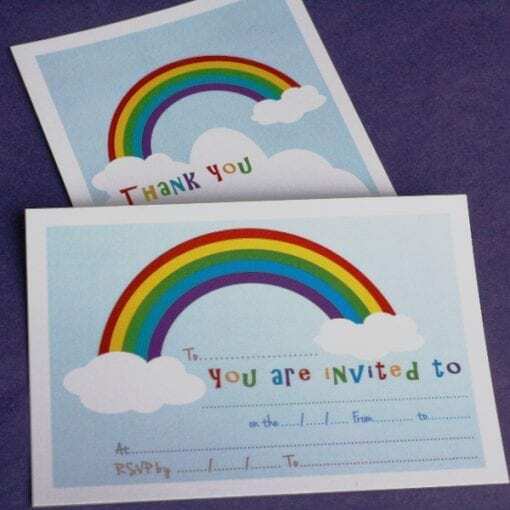 They feature a rainbow in the clouds with a pot of gold against a blue sky. 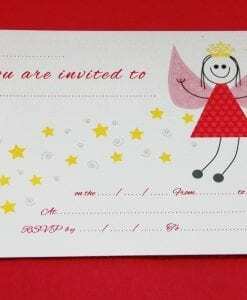 Pricing includes a white envelope for each card.